The Bell Boyz are variety characters in the classic Bell Hop style. 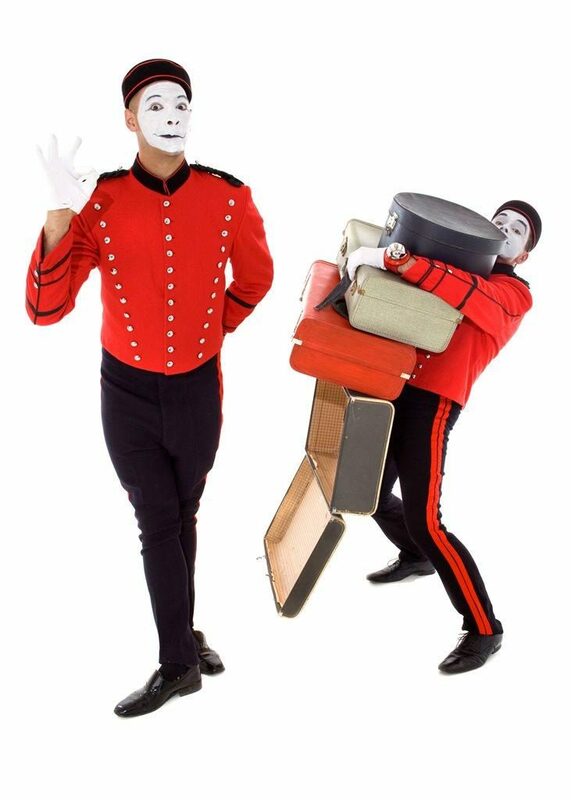 A grand reception needs a grand reception committee and The Bell Boyz Walkabout Act are just that. They will give your guests the attention they need. 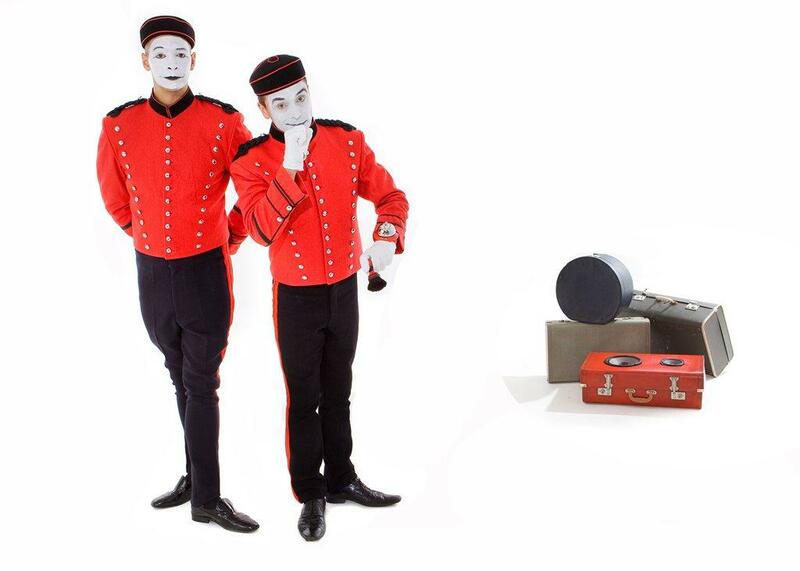 Dressed in their resplendent period attire the ‘Bell Boyz’ are the ultimate ice breakers. 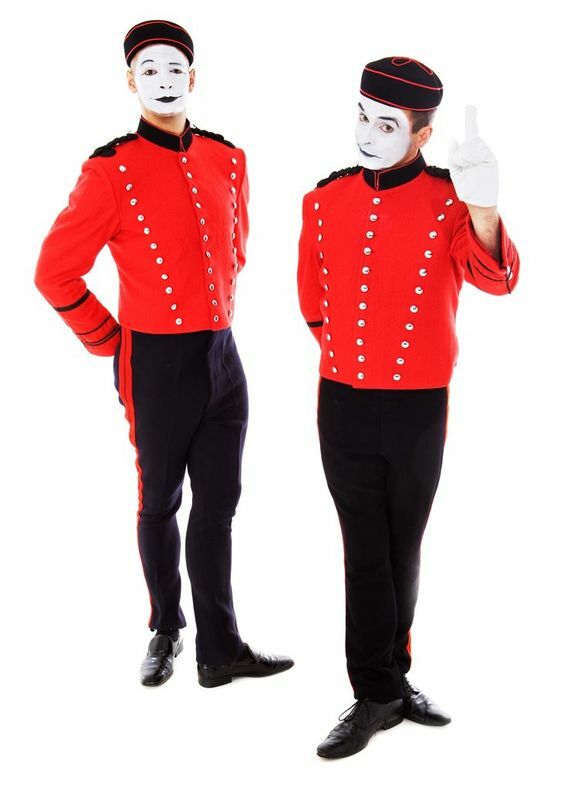 Welcoming with verve, energy and gusto they will enliven any atmosphere with their well-honed physical comedy, appropriate moments of ‘Tom Foolery’ and engaging friendly playful repartee of the highest order. 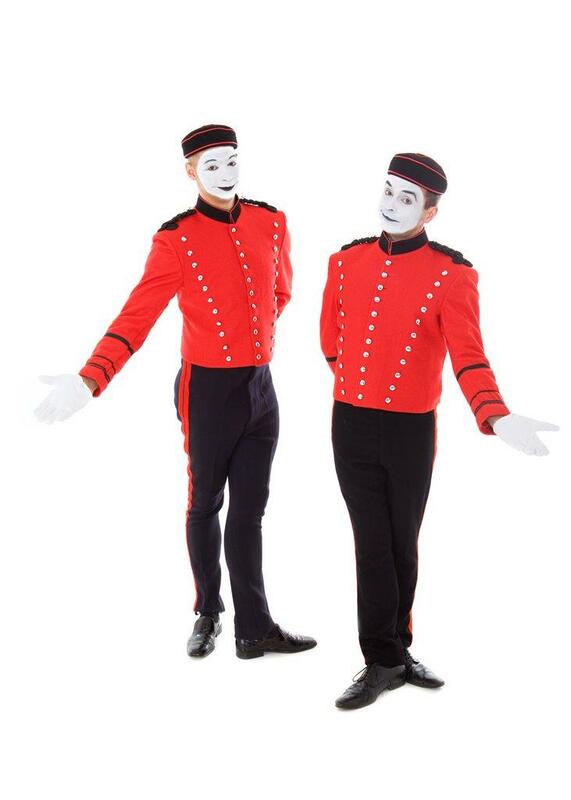 The Grandeur of your event is instantly enhanced by having these quick witted helpers to lighten mood, offer guidance and gently brush the guests down with their brushes. 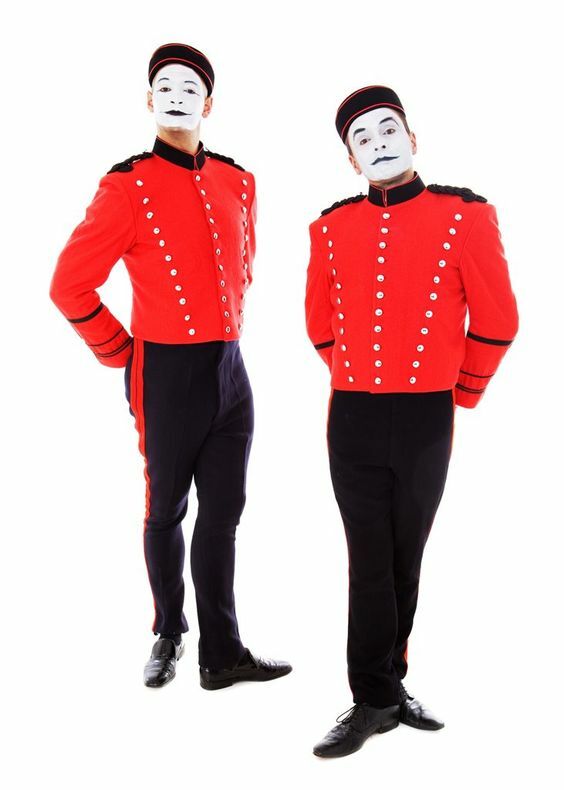 Whether it is their infectious excitement, the solid splendour of their costume or the humour of being helped incessantly ‘The Bell Boyz’ will bring joy, mirth, excitement and humour. 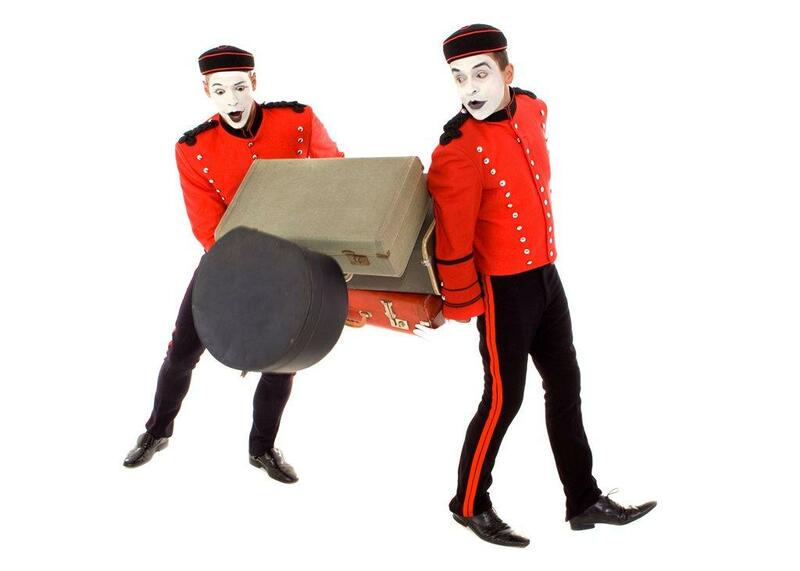 The ‘Bell Boyz’ are reassuringly brought to you by an award winning physical theatre troupe with many years of experienced excellence and careful delivery of fantastic entertainment to draw upon. 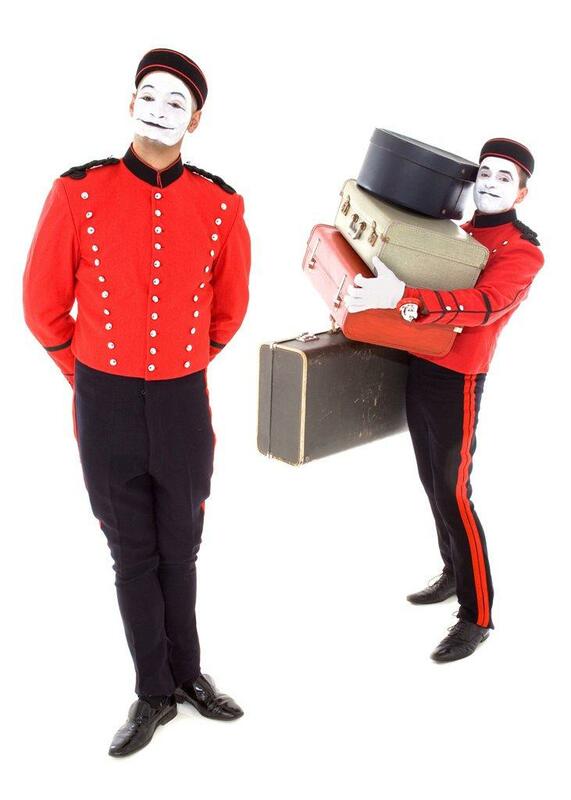 The Bell Boyz Walkabout Act can be multi-faceted; from setting the right tone and creating the right impact, to ensuring good humour throughout the event. They can also be useful at helping with the mechanics an event, ushering, the roll calls and the awards etc. 3 x 30 or 2 x 45 minute walkabout sets.